If you need to see a site over a span of decades, our sets of historical aerial photographs can provide the most complete picture available. 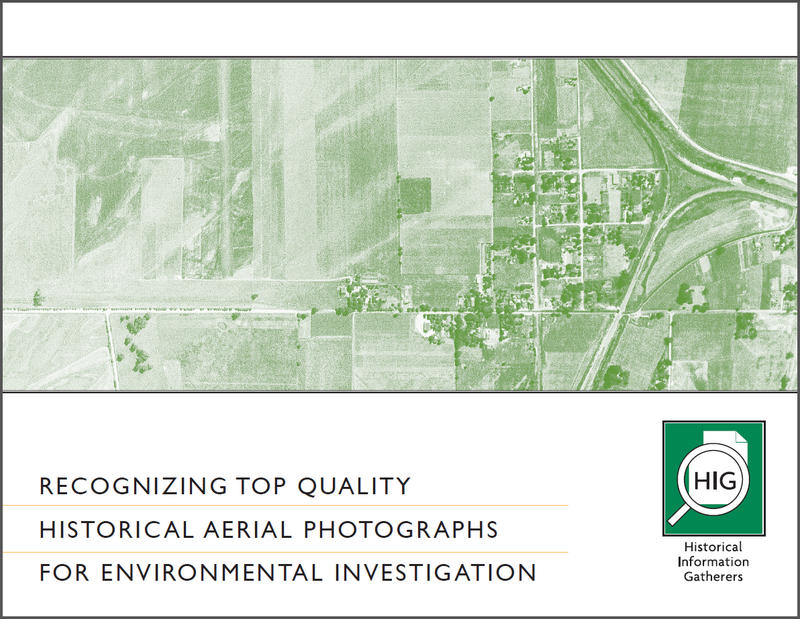 HIG has one of the largest in-house collections of historical aerial imagery in the United States. Historical aerials are often used by environmental consultants, engineers, planners, wetlands specialists and history buffs. They can also be used to determine where to collect soil and groundwater samples during a Phase II Environmental Site Assessment. A set of 5 to 12 aerial photographs with dates usually ranging from the 1930s or 1940s to the near present. Most of our aerial photographs have a scale of 1” = 500’ with a few at 1” = 800’. High-resolution photography used whenever possible to help provide clear, crisp images. These photographs are easy to add to your existing reports or import using report writing software. Photographs show an area up to 5000’ x 7500’ or approximately 860 acres in size, dependent on the shape of the property. Each photograph is presented in a title block that includes your project information, the scale and date of the image. Your site is centered in the photographs to provide the best views of the site and surrounding properties. Do you need more functionality from your aerials, especially for your corridor or large area projects? We can provide georeferenced historical and modern photography for any size project in the United States. 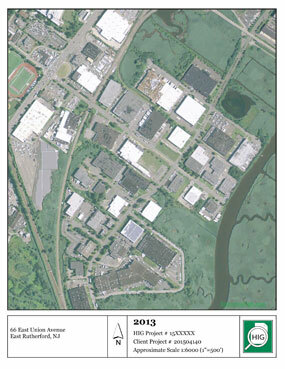 Images are approximately one (1) meter resolution in most cases, and are compatible with GIS and CAD software. We use at least three ground control points per image over a modern orthophoto base map to provide cost-effective georeferenced accuracy suitable for general analysis. Photography is referenced to your local UTM Zone, in feet or meters. We’re happy to discuss your project needs so we can provide custom specifications if needed for your project. We have extensive experience scanning entire aerial photography collections, completing accurate image rectification and creating prints and enlargements from digital imagery. If you need a specific aerial photograph year or set of years, or a certain aerial photograph resolution or file format, we’ll search for what you need. We will search our collection plus other sources of historical aerial photography. We streamline the process of acquiring custom aerial photographs you need and will deliver them in the format you specify. We have provided custom aerial services for numerous transportation corridors, wind farms, mining tracts, oil and gas production areas, large brownfield redevelopment areas, pipelines and other energy corridors. For more information see our Corridors/Big Sites page. For prints, enlargements and custom projects please call us at 952-253-2004 for more details or to discuss the specifications of your project.